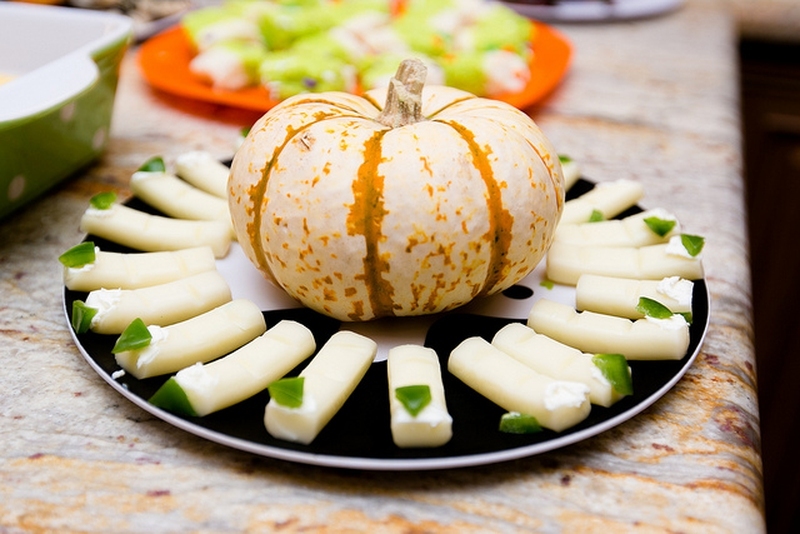 Plan a get together that your kids will love with a dollar store Halloween party. Find everything you need, from table decor to gift bags, for a price that’s easy on your wallet–only $30. Before you head over to your local dollar store, take inventory of what you already have at home that will be useful for your Halloween party. This way, you only stock up on what you need to make this spooky holiday special for the kids. Find decorations for the perfect spook-tacular table setting. Buy an orange plastic tablecloth and use black netting as a table runner. Add a colorful sign, a black pumpkin and skeletons to create a centerpiece. Keep the color theme going with black and orange place mats, paper plates, cutlery, ribbon and Washi tape. Easily turn your water bottles into mummy bottles with a few pieces you probably already have at home. All you need are gauze packets, eyes packets and the water bottles. Wrap each bottle with gauze, criss-crossing back and forth to create the look of a mummy. Top with a pair of eyes. You only need two ingredients (lime sherbet and lemon lime soda) to make this stormy green punch. Scoop up the lime sherbet and fill with lemon lime soda just before serving from the plastic cauldron that you can find at a dollar store. It will bubble and foam up to create the spooky effect. Put a healthy twist on scary lady finger foods with these carrots and sliced almonds. Serve them in a container of onion and chive dip. Let the kids create spooky spider cookies in a flash. Bake a package of Pillsbury German Chocolate Cookies or purchase chocolate cookies. Give them black and red licorice to create legs, eyes and a mouth. Fan of The Walking Dead? Then these zombie caramel apples can be made from scratch in under 15 minutes. in the caramel until well coated. Sprinkle the top with crushed peanuts. Adhere a zombie gummy that you can find at a dollar store to the skewer. Save more time by buying pre-made caramel apples.